HomeYouth Questions: What is Communion? Why do we do it like that? Youth Questions: What is Communion? Why do we do it like that? Question: Why do we do communion the way that we do? Before we talk about how we “do” communion, we ought to talk about what it is, and why we do it. The gospels of Matthew, Mark, and Luke (Luke 22 is a good example) all tell the story of the Last Supper. This was the Passover meal that everyone in Israel shared together every year to remember God rescuing them from slavery in Egypt. In some ways, this meal was a lot like some of our families celebrate Thanksgiving. Often a lot of the same people were together, if you were anywhere close to home you usually met with your family, and every year there were traditions, speeches, and toasts that everyone had memorized. This particular meal was the last big meal the disciples had together before Jesus was arrested and crucified and Jesus was the host. But during the meal and he did some really unusual things that the disciples didn’t understand (until later). First, when Jesus broke the bread, instead of saying what everyone usually said, Jesus said this is “my body” broken for you. Later, during the second toast of the evening, Jesus completely changed the script. Instead of saying the usual Passover speech, Jesus said, “This cup is the new covenant in my blood, which is poured out for you.” This toast had all sorts of connections to Jewish culture, from being a reference to the first Covenant that God made with Abraham, to having amazing similarities to the toast where a Jewish groom seals a contract (a new covenant) to return and marry his bride. The disciples were understandably confused by this because it didn’t fit with Passover. It all made sense to them later though after Jesus ascended into heaven and they began to understand that Jesus was the bridegroom and the church was to be the “bride of Christ” after his return. 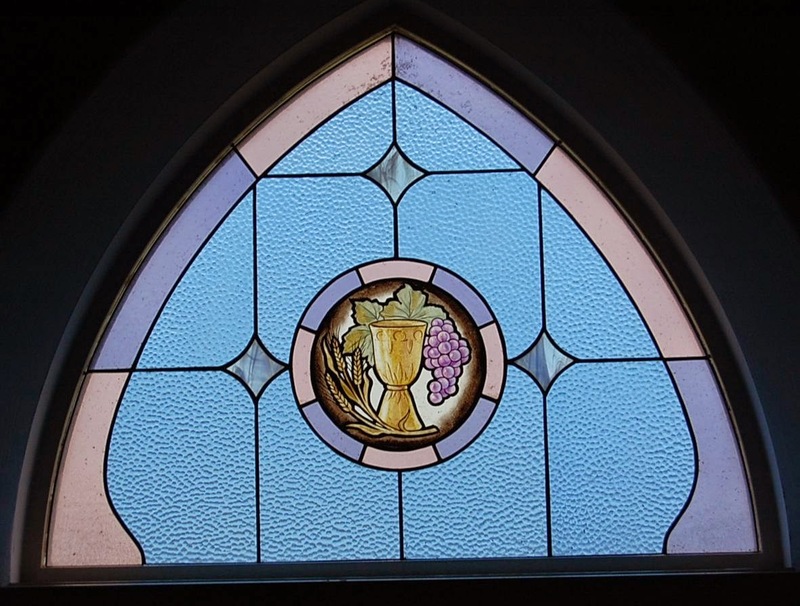 In any case, when Jesus broke the bread and drank from the cup Jesus asked his followers to “do this in remembrance of me.” And so, just as the Jews celebrated the Passover every year to remember what God had done for them, we celebrate communion as we remember what Christ has done for us and also remember that Christ is coming back. But returning to the original question, there are lots of ways to “do” (we usually prefer to say “share”) communion. We can have communion by intinction, in which we tear a piece of bread off of a loaf and dip it in a common cup. In some cases, people all drink out of a common cup, but because of concerns about unintentionally sharing germs, that method is not often used today. We also share with little pieces of bread and tiny cups, or with unleavened bread (which might be flat breads like pita bread or something like saltine crackers). For very large groups there are plastic cups that include a small wafer of “bread” under a foil seal and a cup of juice under a second foil seal. In that way, the ushers only have to pass out one basket that includes both of the communion elements. At one large youth gathering I heard about, they wanted to share communion but didn’t have enough bread and juice so they used potato chips and cola (there are some theological problems with this, but their hearts were in the right place). ← Youth Questions: What is Confirmation?